Sick of airport queues and jetlag? How about a summer holiday closer to home? Join the 75% of Brits choosing a staycation and try a Great British road trip. Most of us picture a sleek convertible, music blaring as we cruise down America’s Route 66 when we hear ‘summer road trip’, but there are plenty of great drives to experience across the UK. Whether you’re planning a long weekend away with your other half or a week-long road trip with your mates, we recommend these open road classics. Coastal roads, mountain top routes and country lanes? The scenic Causeway Coastal Route has them all. Running between Belfast and Derry it hugs the coastline as you travel north then west for 120 miles. It could be done in a day if you really wanted, but that leaves little time to soak up the sights along the way. Start in the bustling capital city, after a trip to Titanic Belfast, then head north towards the Glens of Antrim. Stop off at The Gobbins to stretch your legs, walking along the dramatic coastal path through spectacular suspension bridges and tunnels. Game of Thrones fans should make a pit stop at The Dark Hedges, an iconic archway of trees that featured in the HBO series. 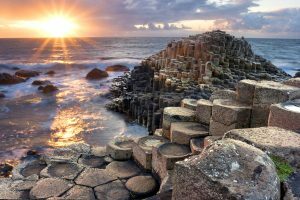 Wind your way towards Giant’s Causeway, a World Heritage site steeped in local legend before ending your adventure in Derry, 2013’s City of Culture, where you can take in the walled city and Peace Bridge. The A39 Atlantic Highway from Barnstaple to Newquay is ideal for fans of dramatic views and wild beauty. Start in the traditional market town of Barnstaple where you can view remnants of the original Norman castle. Then cruise south west to laidback Bude for a picnic on the beach and an overnight stay. 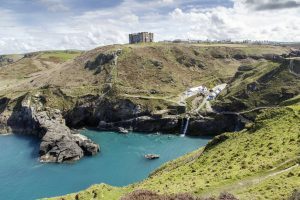 The picturesque harbour of Boscastle is next on the itinerary followed by an immersion into local legends with the ruins of Tintagel Castle and Merlin’s Cave. The Museum of Witchcraft also offers great entertainment. Stop for lunch in foodie Padstow, home to Rick Stein’s seafood restaurant, before landing in Newquay, the surfers’ party town. 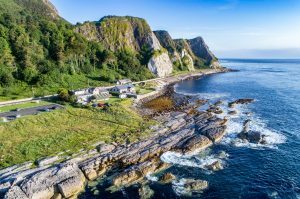 North Coast 500 is a circular route with magnificent mountains and white sand beaches, with plenty of options to camp, stay at B&Bs or park up your camper van. Before you set off from Inverness, take a trip to Loch Ness and see the medieval Urquhart Castle which stands on the shores. Once you’ve spotted Nessie, head west towards Applecross, where you can camp (book in advance) and taste your first bite of haggis. Zig zag your way through the mountains of Beinn Eighe National Nature Reserve. Stop at Smoo Cave, an Instagram-worthy waterfall and lake chamber at Durness. 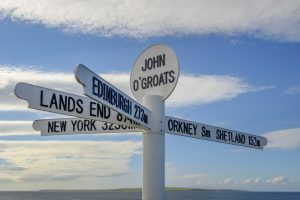 Drive on to John O’Groats, the northern most tip of Scotland’s mainland and get a photo with the famous white signpost before heading back down the east coast via Berriedale and Dingwall to Inverness. Look out for wildlife including puffins, deer and even the chance to spot whales and dolphins if you’re lucky on the Black Isle. Kirkstone Pass, which connects Ambleside on Lake Windermere to Patterdale in the Ullswater valley, is the highest road in the Lake District at almost 1,500 feet high with impressive views of the fells. With a 1 in 4 gradient in places, this journey is best done in the summer as winter conditions can make it hazardous. Book a room at the 500-year-old Kirkstall Pass Inn, which commands impressive views halfway along the route, and venture into the hills on foot before returning for a delicious meal. Suitably refreshed carry on your journey to Ullswater, England’s second largest lake and the setting for Wordworth’s Daffodils poem. This rugged route from Aberystwyth to Rhayader, is a wonderful way to see the breath-taking Cambrian Mountains. 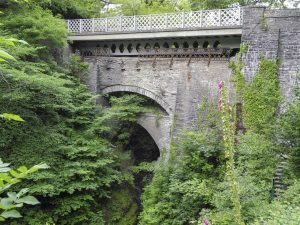 Head east from Aberystwyth to Devil’s Bridge, famous for its waterfalls and three stacked bridges. From here head towards Elan Valley, a good place to stay overnight to explore the five reservoirs, picturesque dams, aqueduct and spot scarce birds like the dunlin and golden plover. The Elan Valley Estate has International Dark Sky Park status meaning it’s perfect for a spot of star-gazing. Your journey ends in the market town of Rhayader, a perfect place to explore the rest of Wales if you’re not ready to go home just yet. Begin your road trip in Glasgow, home to the Riverside Museum, designed by the late architect Zaha Hadid and showcasing a great display of Scottish made cars. 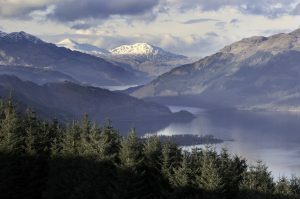 Then take the M8 north until junction 30 and join the A82 heading for Loch Lomond. At Loch Lomond take a boat out to one of the 30 islands – one of them has a colony of wallabies. Stock up on food, drinks and souvenirs before you get back on the open road. As you drive on towards Fort Williams through a stunning glacial valley, there are plenty of chances to stop off for a hike or a picnic. Turn off at Fort William and head to the Port of Mallaig to catch the ferry to the island idyll of Skye. Stay overnight on Skye and brave the chilly waters for a spot of wild swimming, enjoy the white sand beaches and with no more driving on the agenda, visit one of the many distilleries and sample the local Scotch. Make sure your car is up to scratch with our essential summer car safety tips and checks before you set off on your adventures.